BASEC management system schemes are designed to assess an organisation’s ability to produce and/or supply goods and services consistently to specification and to customer requirements, in a safe manner and with due regard to environmental needs. Integrated management systems offer a number of business benefits and BASEC provides a cost-effective approach to their certification. In the environmental field BASEC concentrates on making the implementation of an environmental management system a value added, cost saving activity for the organisation, tailored to local environmental and legislative requirements. 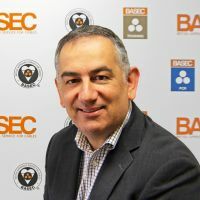 On health and safety, BASEC looks beyond legislation and compliance to aim for good risk management and organisational continuity, addressing the needs of all stakeholders. Below you will find a downloadable PDF explaining the process BASEC use.